Designed with safety and comfort in mind. 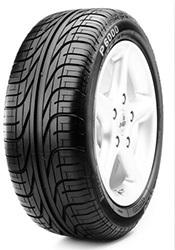 the New Pirelli P6000 MO has been manufactured to the highest standards and incorporates some of the latest safety features and even manages to improve perfomance by increasing the tyres tread print and using technology that helps to change the treads behaviour based on the road surface. This all amounts to a safer and also longer lasting tyre, helping both you and the enviornment money. With a more open shoulder pattern and a silica compound used during manufacturing, wet weather perfomance is further improved. more rigid tread blocks have also been added to improve the sporty feel of the tyre and give more responsive handling. Utilising their unique pitched tread block patterns has also allowed a significant reduction in external noise emissions. This special edition of the P6000 MO has been produced in association with Mercedes to ensure optimum handling and perfomance when used in conjunction with some Mercedes models.